I picked up Dava Sobel's book "Longitude" at the Age Action book sale held in the Atrium of NCI this week for €1. 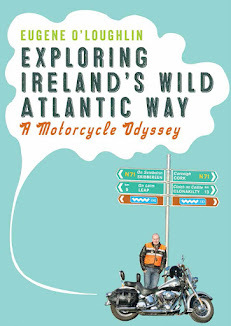 This must be one of the best €1 I have ever spent - it is an excellent book which I read in just two sittings. 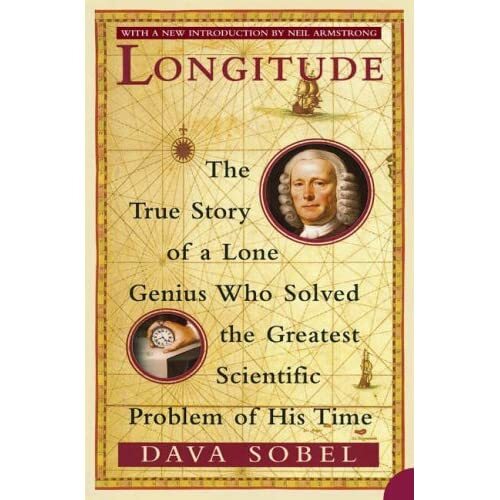 The book is short (175 pages) - and I was already familiar with the story of John Harrison and his efforts to win the Board of Longitude prize for solving the biggest problem on the 18th century - how to determine longitude at sea. See a summary in the article John Harrison and the Longitude problem on the British National Maritime Museum website. The story of John Harrison was also made into a two part film starring Jeremy Irons and the wonderful Michael Gambon as Harrison - this film is based on Sobel's book. Sobel does a wonderful job of describing the problem of determining Longitude at sea. She describes the numerous efforts of many inventors to claim the £20,000 prize for a "Practicable and Useful" way to help navigators at sea figure out where they are. Harrison's rivalry with the Rev Maskelyne, and his difficulties with getting his time-pieces approved by the Board of Longitude are lovingly described by Sobel, who is clearly in awe of Harrison. It is well written and extremely easy to read - as she notes in the "Sources" section at the end - the book "is intended as a popular account, not a scholarly study". Throughout the book I felt that I would have liked to have seen some diagrams of the insides of the H-1 to H-5 clocks and watches, and to better understand what some of the parts looked like. For example, it is only now (after finishing the book) that I found out what an "escapement" is - see a description in Wikipedia. I was constantly looking back at the (small) photographs inside the front cover as a reference point. As Sobel writes on her website "Roughly one-quarter of the many letters I received after the publication of Longitude complained that the book contained no pictures, maps or diagrams". This lead her to produce "The Illustrated Longitude" with William J.H. Andrewes. I must watch out for this. This is a wonderful true story that anybody with even a passing interest in history and science will enjoy. Recommended. "Happiness grows after 50" - Great! Robin Hood Movie - Brilliant!